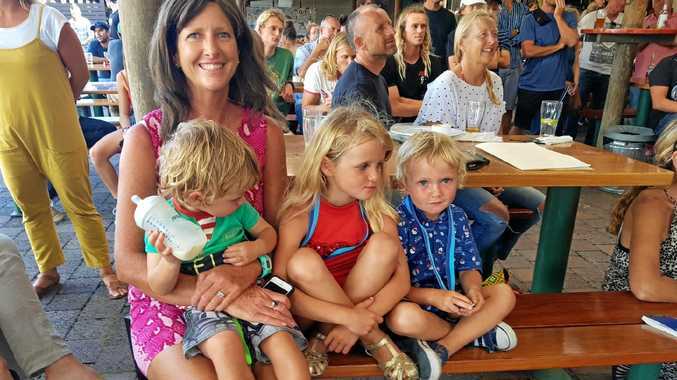 Federal MP says claim was all "above board"
FLYNN MP Ken O'Dowd says that $2100 he claimed at taxpayers' expense to attend the Bledisloe Cup with his wife last year was "all above board". Mr O'Dowd's member's interests declarations show gas giant Santos gave him two complimentary tickets to the game, which he attended on the way to parliamentary sittings in Canberra. While the central Queensland politician would have flown to Canberra that week anyway, Finance Department parliamentarian entitlement reports showed he claimed extra flights and travel allowance. Fairfax reported Mr O'Dowd's entitlement claims included $800 for his flights from Gladstone to Brisbane and on to Canberra, $700 for his wife's return ticket from Gladstone to Brisbane and $400 in overnight travel allowance. While entitlement forms show the flights were listed for attending parliament sittings, Mr O'Dowd said it was instead for "official business". He said he had not seen his wife in "a while" and she joined him on the trip, which also included business meetings with Santos representatives "before and after" the rugby match. "It was all above board. It was in my official capacity to meet with Santos, and that included the game," he said. "The taxpayer was going to be paying for the flights to Canberra anyway. It's just a beat-up. This is all a storm in a teacup." While guidelines for claiming entitlements for politicians were tightened last year, the rules allow for MPs to include business meetings at sporting events. "I am appalled by the accusations being levelled against me that I misused taxpayer funds when last year I accepted an invitation by a company in my region to attend an event in Brisbane. I respect taxpayers and would never knowingly misuse funds. Therefore, I consulted to ensure that no discrepancy would take place. I was assured that everything was satisfactory, but I nevertheless feel I owe an explanation. The truth of the matter is I was invited to attend an event and it occurred at the beginning of a Parliamentary sitting week. My Parliamentary Entitlement covers my expenses during sitting weeks to travel from my home base of Gladstone to Canberra and back again, with an allowance for stopovers en route. This is normal parliamentary procedure that is used by many politicians from both sides of the aisle. On this occasion, I was invited to attend the event by an organisation that has provided opportunities for industry growth in my region. We conducted meetings before and after the event with regard to matters affecting business growth in my community. Our government has a successful track record in encouraging business growth, and I am proud to be a contributor to this legacy."